Nuclear Extraction Kit (ab113474) provides a simple and selective method along with all necessary reagents for nuclear protein extraction / nuclear protein fractionation in just 1 hour. The extracts can then be used in western blotting, protein-DNA binding assays, nuclear enzyme assays or any other procedures requiring optimized nuclear proteins. The protocol is fast and easy-to-use, and isolates very abundant yields of nuclear extract from mammalian cells or tissue samples. Not sure if this is the right product for you? Check out our EpiSeeker Sample Preparation Guide for help. Compared to other kits that use conventional nuclear extraction / nuclear fractionation methods, the buffers included in ab113474 contain much lower amounts of salts (80% less than conventional kits) and no SDS, which allows much better retention of enzyme activity in the nuclear extracts. Effect of cilostazol (50 and 100 mg/kg; Cilo50and Cilo100), pioglitazone (3 and 10 mg/kg; Pio3 and Pio10), and their combination (Cilo50and Pio3) on the PPAR-γ transcription activity in rats subjected to ischemia (45 min)/reperfusion (24 hrs). Drugs were administered orally for 14 days then subjected to ischemia/reperfusion. Values are expressed as mean ± S.E.M (n = 6). Data are compared with sham operated control (#), I/R control (∗), Cilo50 (), Pio3 (), and combination (§) pretreated groups (one-way ANOVA followed by Tukey Multiple Comparison Test) at P<0.05. B16F10 cells were treated with 30 µM of DMPB for the indicated time periods. 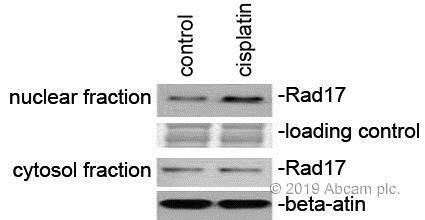 Cytoplasmic and nuclear fractions were isolated and analyzed by Western blotting. Nuclear extracts were prepared from MCF-7 cells and the activity of HDACs were measured using different amounts of the extract. The result shown in the figure demonstrates the ab113474's high specificity. Yes, this kit can be definitely used for frozen tissues. The lab confirmed it. I konw the Nuclear Extraction Kit which productde by Abcam.We wander obtain the cell nucleus,and then extrat the nuclear DNA.We want to know whether the kit can do it? https://www.abcam.com/index.html?datasheet=113474 (or use the following: https://www.abcam.com/index.html?datasheet=113474). https://www.abcam.com/index.html?datasheet=113477 (or use the following: https://www.abcam.com/index.html?datasheet=113477). Both kits are intended for the extraction of protein from the nucleus. ab113477 is designed to extract Proteins nucleic acid free. We also have ab117152 (EpiSeeker Chromatin Extraction Kit) that will extract DNA and theDNA bound chromatin. https://www.abcam.com/index.html?datasheet=117152 (or use the following: https://www.abcam.com/index.html?datasheet=117152). I am sorry to confirm that we do not have kits specifically for protein free DNAextraction. I would also like to make you aware that we do have scientific support in Chinese. 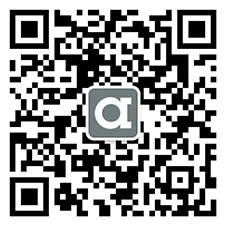 If you prefer to speak to us in Chinese please write to mailto:hk.technical@abcam.com. The protocol is easy to understand and nuclear extraction were performed as described by protocol. Loading control (Histone H1) were examined. Nuclear fractions were performed as described by product datasheet. The target Rad17 and loading control were examined. Does the cytosolic fraction include membrane protein as well. ( she will get the nuclear fraction againstthe rest of cell protein)? 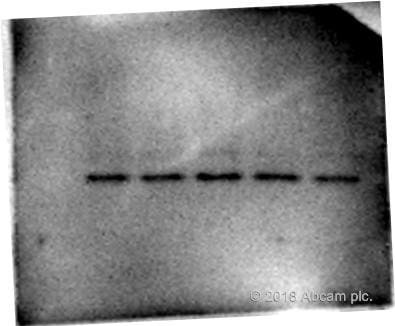 Yes, the cytosolic fraction when using ab113474 Nuclear Extraction Kit includes membrane proteins. Thank you for the follow up message. I can confirm that the concentration of DTT included in the kit is 1M. I hope this will be helpful. If you have any further questions, please do not hesitate to contact me. I'm interested on the Nuclear Extraction Kit (ab113474). I would like to know if have you ever tried it with less amount of cells than what is written on the protocol booklet (around only half million cells). Moreover, if after the extraction it is possible to quantify the protein amount with the Pierce BCA assay (if any component of the pre-extraction buffer or of the extraction buffer can interfere). This kit will work better with 2 million cells however you can still use this with half a million cells, when using with 500,000 cells please keep the volume of buffers and reagents proportional to 1 million cells. We recommend using Bradford for quantification, but the BCA Pierce assay will also be suitable. pieces in a clean homogenizer. 10 minutes at 12,000 rpm at 4°C. This does not mention PIC. Do we need to add this? Do they use stock solution of the pre extractio buffer, or do they use pre extraction buffer as prepared earlier in the protocol with DTT and PIC already added? I contacted the laboratories. They confirmed that PIC is not required for the tissue homogenization preparation protocol as the active proteases in tissue are much less than that in cultured cells. Since we are concern about the nuclear integrity, we do not care too much about the cytosol. Therefore, DTT may can be excluded in Preextraction buffer too, because its main effect is to avoid the oxidation of the protein. Am I right? I can confirm that if the cytosol is not required for much consideration, DTT can be excluded in pre-lysis buffer too.